On Monday, Feb. 22, the Seal Beach City Council will consider an ordinance limiting local campaign contributions to $500 per person. The council voted 5-0 on Monday, Feb. 8 to have staff draft the ordinance with the $500 limit. 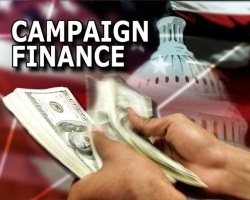 An updated report on campaign finance was part of the consent calendar on Feb. 8. However, District 1 Councilman Charles Antos had the report pulled from the calendar for discussion. According to the report, which was written by the city clerk and the city attorney, California cities cannot limit campaign expenditures. “A number of cities have imposed maximum contribution limits based upon federal court decisions. However, on January 21, 2010, the United States Supreme Court filed an opinion that overturned federal law restricting corporate independent expenditures. “While the opinion does not affect state law it is another indication that the courts disfavor any limitations on free speech,” the report said. 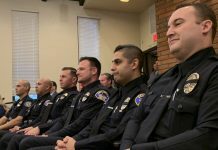 The report said cities could legally limit the campaign contributions of individuals or committees to local candidates and committees supporting those candidates. Antos said that unless the city attorney had an objection he would like staff to bring back an ordinance with a $250 limit. Antos said this would prevent someone from buying an election. District 4 Councilman Gary Miller said he thought the council had already asked staff to draft a campaign finance ordinance. City Attorney Quinn Barrow said staff looked at the minutes of the meeting when the City Council last considered campaign finance reform. At the time, the mayor directed staff to come back with a report to look at what cities were doing and if there were legal challenges. Miller said other cities don’t have limits. However, District 3 Councilman Gordon Shanks said he prefered a $500 limit. He asked if Seal Beach could limit where the money comes from. Barrow said the courts would throw out an ordinance that restricted where the money came from. Shanks moved to have staff bring back a campaign finance ordinance with a limit of $500 per person. Antos withdrew his earlier motion for a $250 limit. Miller seconded Shanks’ motion. The motion was approved unanimously. • Continued a public hearing on proposed water rates until Monday, March 8. • Modified the mid-year budget. According to the staff report by City Treasurer Robbeyn Bird, revenues will decrease by $192,500 and expenses will also decrease by $33,600. 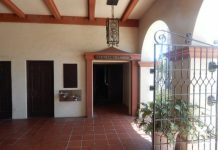 “After all budget amendments have been entered into the accounting system, the excess of revenue over expenditures is projected to be $583,300,” Bird wrote. 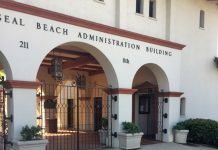 • Ratified Mayor David Sloan’s appointment of Councilman Miller to represent Seal Beach at meetings with the Joint Forces Training Base concerning the recently suspended composting project. The so-called Joint Forces Training Base Mayor Ad Hoc Committee does not yet exist. However, Sloan wanted to appoint Miller to the committee in the event it is formed. The appointment was unanimously approved as a consent calendar item. • Authorized staff to submit a grant proposal for a small community center at Heather Park in College Park East. If you would like to comment on this story, e-mail editor2@sunnews.org.